Kendra's mission is to help people enjoy their dogs to the fullest and to better the community by helping shelters and rescues. When it comes to dog training, I believe my clients and I share the same goals: building a better relationship, helping their dog be the best they can be, and having a little fun in the process. It's really quite simple - well behaved dogs = happy clients. When you put the time into working with your dog, together we can help them be the companion you've always wanted! Kendra hails from Michigan, where she grew up with an affinity all things furry, feathery, and scaled. From a young age, she brought home every animal under the sun (much to her parents’ chagrin). When her first Rottweiler puppy Bailey came into her life as a young adult, Kendra consumed herself with teaching Bailey new tricks. She began to realize the impact that training had for both dog and pet parent, and wanted to learn everything she could. This newfound passion led her to volunteering with her local shelter where she gained invaluable experience working with a variety of dogs – a passion she still holds dear to her heart 20 years later. 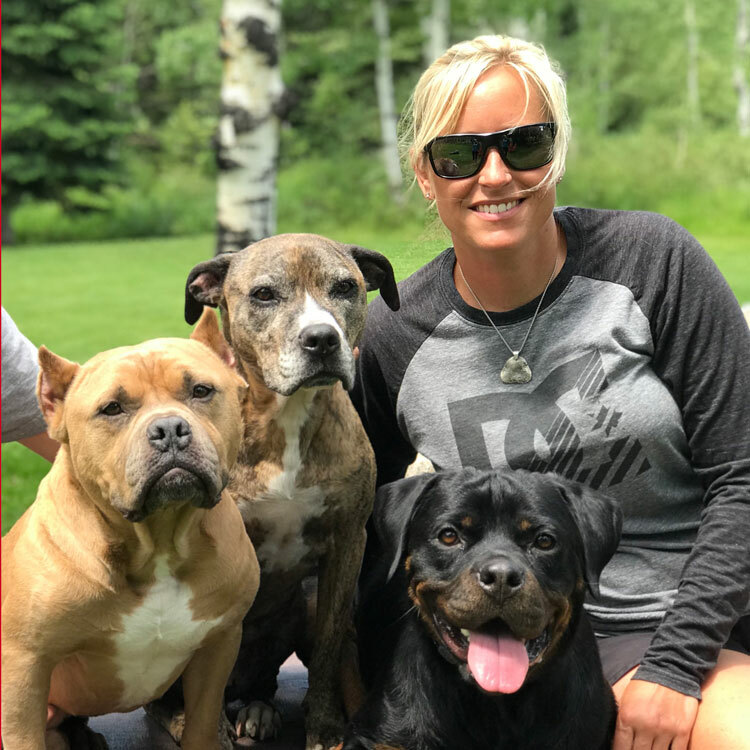 Since those early days, Kendra immersed herself in her field, studying under some of the biggest and best names in dog training, like Cesar Millan and Robin MacFarlane, which inspired her to found Doggie Mannerz in 2008. To this day, she still continues her education and skills by traveling around the country to bring back the latest and greatest information for her clients and their dogs. Kendra brings a tailored approach to each and every dog she works with, finding what will help them build and maintain success in their homes and out in the real world. Her down-to-earth approach is fun and easy to understand for both the dogs, and the people who love them. She continues to share her incredible skills with the shelter and rescue community through her love of fostering rescue dogs. Kendra shares her Millcreek home with her three shelter dogs, Zooke, Tayter, and Jelly.